Phase 1 lineup for #WMW is up! 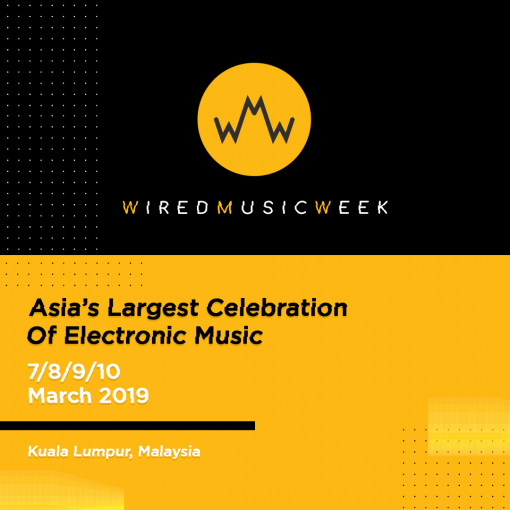 ​Wired Music Week 2019 is going to be the music conference of the year in Malaysia and all of Asia. Definitely one you and your music enthusiast friends should not miss! WMW will have regional and international artists, panelists, and renowned record labels participating in our day conference sessions. 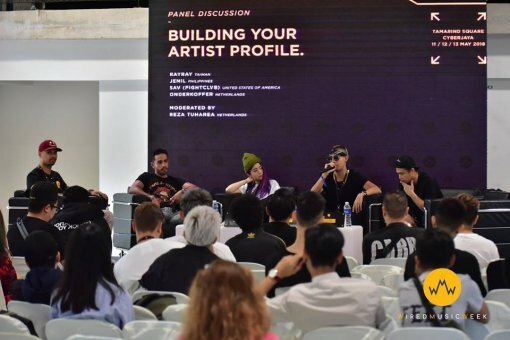 Activities include Panel Discussions & Keynote Presentations, Production Masterclasses & Workshops, Demodrop Sessions, Gear Exhibition & Masterclass, 1-On-1 Advice Session, Networking Opportunities, Side Activities with Artists, and more. Don’t forget about the night-time afterparty for all 4 days, as ​Wired Music Week 2019 will be taking over the whole Kuala Lumpur city when the sun sets from March 7-10! Ranked 146th in DJ Mag’s Top 100 DJS 2018: THE NEXT 50. He has has many collaborations with numerous well known artists and releases via Revealed Recordings, Dharma Label and Spinnin’ Records. A powerhouse in the dance music scene in Asia. He is touted as one of the leading producers & DJ’s in the region, a globally recognised producer chalking up more Top 100 and Top 10 charted tracks than any other producer-DJ in Asia in recent times. Recently voted Top 3 EDM artist in Asia by EDM Droid and Asia EDM, he is regularly booked as a touring DJ for artists such as Taio Cruz and The Scissor Sisters. His radio show, The Guestlist now reaches over million monthly listeners around the world and features various guest artists such as Jay Hardway and Afrojack. A&R Manager – Barong Family. He is a retired member of the dj duo, Mightyfools who he toured with all over the world for over 10 years. Now working as an A&R at Yellow Claw’s Amsterdam based record label Barong Family, he’s always looking for the next big thing in music. Here’s your chance to get discovered. Australian DJ & producer with residencies all over the world. He recently had a brand new collaboration, “Punjabi” with Timmy Trumpet. He is also the owner of Cinematik Recordings Label. hop, r&b, house and everything in between made him a crowd favourite. In 2016, he opened for Chris Brown’s European Tour. Focusrite & Novation Product Specialist. He is a music producer & educator from New York, currently based in Tokyo, Japan. Also, an Amazon Books Top Selling author for his book, Electronic Dance Music Grooves. Josh Bess has music production, composition, artist credits & original music releases with various companies & music labels. A&R Manager has been with Armada Music for over 3 years. He handles the day-to-day business of Armada sub-labels such as Armada Electronic Elements & The Bearded Man. He also works with exclusive artists such as Lost Frequencies, Jan Blomqvist, Stereoclip, Pablo Nouvelle, Y.V.E. 48, Kav Verhouzer, De Hofnar, Dennis Kruissen, Sebastien, Frank Pole and more. International PR & Promotions Manager for Armada Music. She has numerous years of PR and branding experience under her belt. In Armada Music, she has since worked with and for out-of-the-box acts such as Afrojack, Autograf, Borgore, Cedric Gervais, Crankdat, Fedde Le Grand, Lost Frequencies, Loud Luxury, Mokita, Morgan Page, NERVO, Showtek, Sultan + Shepard, Sunnery James & Ryan Marciano and more. She is also the co-founder of She Said So Amsterdam (a local branch of the global She Said So community), a carefully curated network of music industry professionals that strives for diversity and quality. Singer-songwriter & producer from KL, Malaysia. In 2017, he was the runner-up for Air Asia & Spotify’s ‘Dream Come True Campaign’. His biggest song to date, “Vibe” went on to do 4.5 million plays in the span of 5 months. International Licensing Manager joined Armada Music in January 2014. She is responsible for the exclusive international licensing and exploitation of the catalogue. On a day to day basis she is the main point of contact for Armada’s international (label) partners and works on the international exploitation of releases by Armin van Buuren, Lost Frequencies, Loud Luxury, Afrojack, W&W and many more. CEO – MPLUS82. He is a promoter and consultant in the Korean dance music scene. Mark aims to influence and unite people with the power of music. Currently, Mark has been more focused on developing local talents and helping them develop their own music styles. An experienced Audio Engineer and Record Producer in the Production Team of Sound & Music Design Department in Limkokwing University in Cyberjaya, Malaysia. He is currently working in Audio Production and Post-Production in Malaysia. He works with well known International brands in the Audio Industry such as Native Instruments, Soundiron, Ableton and etc. His scores provide a combination of his exciting, epic and hyper orchestration with different concepts that makes the audience get goosebumps when they listen to his tracks. He has given a variety of workshops in different events and venues. Ranked 98th DJ in the world and No.1 DJ duo in Asia. This duo is signed to Warner Music and a featured Apple Music Producer. They have had 2 million streams on Spotify with peak chart position #2 on Viral Top 50. They hold residencies in various top clubs in the region and never disappoints with their very energetic sets. They are an official Ultra Music Festival Countdown DJ and have appeared on Ultra’s stage multiple times. Placed 2nd for DJaneMag Asia – SEA 2018 and 57th in the world 2018 Top 100 female DJS. She’s been a hit in the circuit of major music festivals and DJ venues across Asia & around the world. She was crowned champion of the 2013 Red Bull Thre3style DJ competition and represented Taiwan in Toronto for the International DJ Championship. Dutch singer/songwriter, composer & producer. He did pre-shows for concerts of Chris Brown, Ne-yo and other big names in the r&b/urban industry. In 2016 he was the official vocal coach for the Dutch version of talent show ‘The X-Factor’. Indonesian DJ & Producer who is known for his eclectic music. His explosive energy is well-known to any that have witnessed his devastating live sets. He recently signed with Yellow Claw’s Barong Family, through which he released his debut EP and featured on their Shanghai Nights compilation. He produced Rich Chigga’s “Who That Be,” which amassed over 55 Million streams. Justin and Zen, Malaysian DJ, songwriting and producer duo. Met in 2015 through their mutual passion for writing and producing music. Coming from vastly different musical backgrounds, they managed to further their creativity and musicality to another level. They have been putting out handfuls of remixes and original music on both Spotify and Soundcloud. Label Manager – Barong Family. After working at Spinnin’ Records, he is now responsible for all releases on Yellow Claw’s record label, Barong Family. As the label manager, he oversees all releases and marketing for the label. 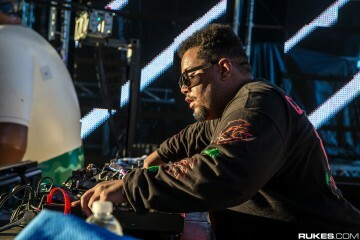 Australian DJ and producer. He is also the owner of Jakd Recordings label and has freshly signed deals with Dim Mak, MOS Australia and Mixmash. Marketing Director 2-Dutch Music Group joins Wired Music Week 2019. Learn about how you can develop as an artist and build your brand and also how to get noticed on Spotify, in this day and age. Get the knowledge on how to fulfill your dreams! Wired Music Week ​​encourages each individual to join the second edition of this journey with us. 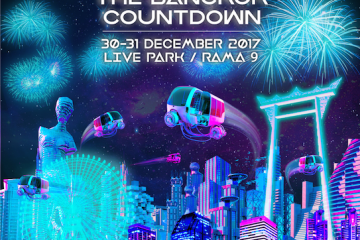 This event is catered to all with a passion and healthy interest in the electronic music community beyond Asia itself. Tickets sales have launched and ticket purchasers will be awarded with full access to ​Wired Music Week 2019​​, including panel discussions, workshops and masterclasses, demo drops, gear exhibition, pre and after-parties, and all other side activities held by the organizer. *all ​WMW​​ ticket sales are sold in 4 phases. Save up to RM75 by getting your tickets early!